Did I not ask for enough? I have the most amazing people in my life (you). No, really YOU, the one reading this. The one sitting in your chair! I want things. I want success. I want connections. I want love. At any rate, today a very good friend asked me to help out a new up-and-comer. In the face of being so “busy’, I spent a good portion of my night connecting this person (who I’ve never even met) with some of my most important peeps. It may come to nothing. Yet, it was worth the shot! I realized…I WANT TO DO STUFF for people. I want to make a difference. And then I realized…WOW! I really need help getting to where I want to be…and people keep saying..WHAT DO YOU WANT FROM ME? I WILL HELP YOU! Get the paradox here? I want to help, but I don’t know how to ask for it! I am limited by my inability to ask for help. I challenge you (and me) to embarrass yourself asking for the help you want. Even the BIBLE says “Ask and you shall receive”. Do I listen? NO! Maybe at the heart of us, each of us knows that we only matter if we made a difference for someone else. So, allow people to make a difference with me. That’s what I will do. What do you REALLY want? Are you willing to ask for help? I just started my first retail job and went into it thinking it was going to be a breeze. How hard could selling shoes possibly be? Turns out, harder than I thought. My first real day (i.e. after my training day) I had a goal of selling $600. After five hours I hadn’t even come close! I finished the day with under $200 in sales. The second day I went in with pretty low expectations but decided that I was going to try opening up more. I started approaching people more often and asking other employees or my managers when I needed help. I even gave a client to someone else because I was too busy helping other people. I ended up selling $615 when my goal was only $400. The biggest differences? Asking for help. Trying to be independent or self-sufficient will only go so far. It’s a lesson I’ve been learning this year all over the place and one that I’ve been fighting pretty hard. But the adage “Ask and you shall receive” is rapidly becoming my mantra. Good things will only come to those who ASK for them! So whether you’re a CEO or a shoe salesman, SUCCESS is only available to those who ask. From ISG: Great work, Kira. If you want to be OUTRAGEOUSLY successful, you have GOT to realize that YOU NEED HELP! Here’s the tough part. It’s hard to ask for help! Here’s the key…How much do YOU love to give help? I invite you (and I’m going to steal from T.Harv Eker here) to be a generous giver and an EXCELLENT receiver. How can you be a better receiver today? The world is waiting to contribute to you! It just needs a great reason and a fun ask. Imagine that you are STINGY with how you let people give to you. 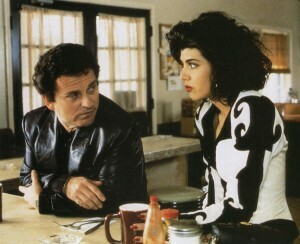 Watch “My Cousin Vinny”. (Think this with a bad Jersey accent – dressed in Lycra from head to toe). Try it today. Ask for something that you really want. And be willing to get it.